I have had a FP phone for almost a year now. However, this month, I'm seemingly out of data already. Normally, I have no issues with data overage. But I'm only a week into the month, and I'm out of data already. When I look at the usage statistics, there lots of MBs of data being used when I'm asleep. I've never had this issue before, and I would like to have this cleared up soon. My husband had something similar earlier this year, where his data was being used very quickly, and during all hours when he wasn't using his phone. Is there a solution to this at my end, or is this people somehow scanning the system? @Jorge M. @Ali @Jay_FreedomPop Is no one going to respond to this? Normally in a month, I don't have issues with running out of data. This month, I'm out of data after a week without changing my data habits. I'm also having large amounts of data disappear while I'm asleep. AND NOW despite having completed an offer for over 600MBs AND having more than 200MBs left, I can't call. @scott @Rich Sias (16th) Anyone? I've had a Victory for for about 9 mo .. I noticed the data usage issue early on and asked questions then about where does the data go? No answer and I've not read any real explanation here on the board. So good luck! I have almost no apps on the phone from the play store. I have app updating turned off in the play store. Each month my 500 mb slowly goes away to the point that I have maybe 200 or so mb left at the end of the month. But so far I've not used the full 500 mb monthly freebie and I don't much think of it any more. I rarely use any app that uses data, even when on WIFI. This was LAST NIGHT. All while I was asleep. There is some sort of issue going on here with the network. This is all while I am asleep, at my own house, connected to wifi. You force me to "Pay" for a "top off" or refuse me service because I'm low on data. But you won't acknowledge that there is an issue here, in essence, taking money from me to pay for this data, while I get NOTHING in return. This issue needs to be solved. If @Jorge M, or @Jorge M.( not sure of current spelling as both are there ), if you are not available could @Ali comment ? Are there things to turn off to cut this down until an update gets issued ? I have had a FP phone for almost a year now. However, this month, I'm seemingly out of data already. Normally, I have no issues with data overage. But I'm only a week into the month, and I'm out of data already. When I look at the usage statistics, there lots of MBs of data being used when I'm asleep. I'd guess you have things like Google Services connecting and downloading data. Maybe also something like Google Play (the app store) or such. 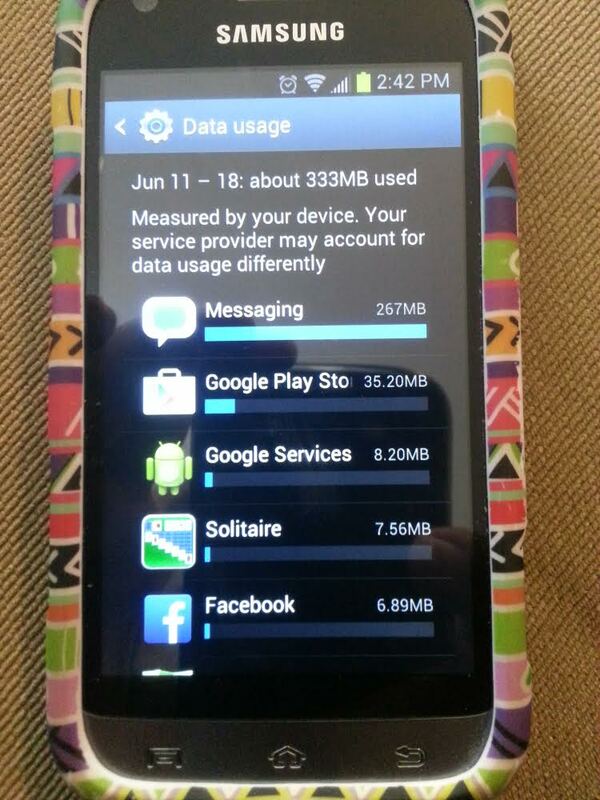 Unfortunately its hard to limit Android's data use without turning the phone to airplane mode. @boundforgermany Hello, did you try to clear all data from Google Play services and redo the setup for it over Wi-Fi? Google play services is not the culprit. Looking in my settings at data usage, in the last week alone, FP Messaging has used over 300MBs of data. Again, I have been VERY sparing of how I have used my data this month. And since this issue had been ignored for almost a month, my original $10 has been drained, I've had 2 offers completed drained, and I'm losing money as we speak on another $10 that I've deposited so that I use my phone. I can't seem to get the phone to take a screenshot. I'll take a picture with my husband's phone and post here today. Blaming Google straight out without asking any info first is not really addressing the issue either. No other app even comes CLOSE to the amount of data used by FP in the settings. And my cell provider asking my to turn my phone on airplane mode so I don't use too much data is like your cable company telling you to keep your TV turned off to fix the problem. 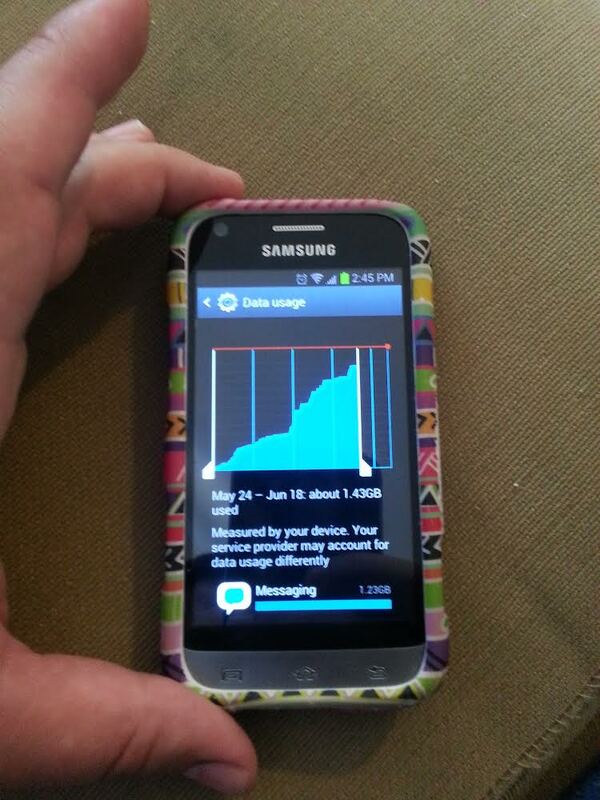 Here's pictures of 1) this last week's worth of data usage. 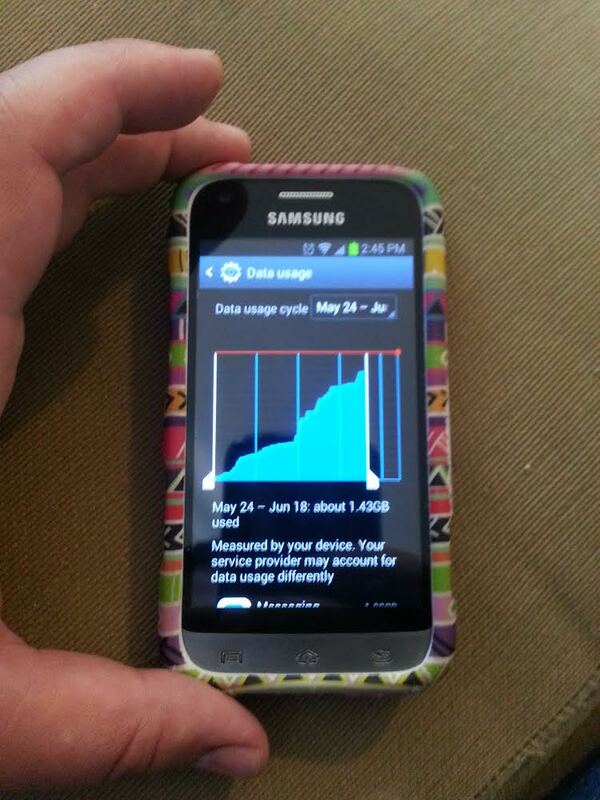 Then 2,3) pictures showing data usage stats from this whole month. It shows that FP Messaging has used almost 1.5GBs this month. And my Google play services settings ARE already set to Wifi only. I'm having the exact same problem on my byod Samsung S3. Messenger was using about 1 GB of data in background activity while I was sleeping or driving over the course of two or three days. Also in 4-30 MB blocks every 5 - 20 minutes. Never had that happen before. Google play updates etc. are set to update only on wifi. Btw. where I was at the time was no wifi. I'll try to call FP support. Actually it drained all my 2.5 GB since the beginning of june in messenger background activity. Unbelievable. All my rollover data gone. I've had a similar issue but it was freedom pop msg app using up a massive amount of data. I called freedompop support they basically gave me a ticket. Today I got a answer back though I'm confused if they issue has been handled. They claim that data has been credited back to my account so I suppose I'll wait until next month to see if my FP bill looks right. It's still taking away a lot of data when I make or receive calls but supposedly it'll be accredited back to me. We'll see somehow I doubt it. Frog how did you open your ticket? Did you call or is there an online location? If you look at the data usage statistics by app and it's the "messaging" app that's using it all... and pretty much all background data... that's the same thing that happened to me right after one of their updates. Support was completely useless but I figured out a "solution" on my own. Checked the box that said "restrict background data" or something and viola, no more data usage. No idea if that caused any problems with the app, didn't seem to (service already unreliable so probably wouldn't notice if it did). Hope that helps! If you do update, note the old version number and the new one. if it still gobbles, holler LOUDLY and state both the old version did it and the new one two. Listing the numbers of course.